The All About Forensic Psychology blog is the place where I showcase and review the very best forensic psychology information on the Internet. Whether you are new to forensic psychology, currently studying or thinking about studying forensic psychology, or consider yourself an expert in the field, I very much hope that you find the material featured on the forensic psychology blog interesting. The kindle version of my new Psychology book is available for free for the next 5 days (May 17-21) See following links. The book is based on topics I've posted about over the last six years which have stood out in terms of the response they elicited, be that in number of likes, comments made, how often the post was shared etc. This type of content makes you think, it's relevant to people's lives, it challenges assumptions and makes you exclaim "Well I never!" Basically, it's about things that most people just find incredibly interesting. Hence the title of the book. If you have any problems with the links above, just go the Amazon website in your country and type "Incredibly Interesting Psychology" into the search box. No kindle? No problem. Just CLICK HERE to download Amazon's free Kindle reading app. Really hope you enjoy the book, I started writing it over 2 years ago! Please let me know what you think and also please feel free to share this post with anybody interested in psychology. I'm very excited to announce that my Psychology Student Guide has just been published worldwide on the Amazon Kindle. See following link for full details. The guide has already had some great independent reviews and if you do decide to take a look I would be very grateful if you rate the book and let Amazon know what you think. Priced super low with students in mind the guide only costs around $3.99 (price might vary slightly from country to country). No Kindle - No Problem. 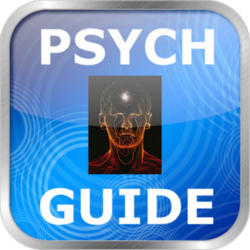 You can read the Psychology Student Guide on your computer or other mobile devices with Amazon's free Kindle reading apps. See following link for details. 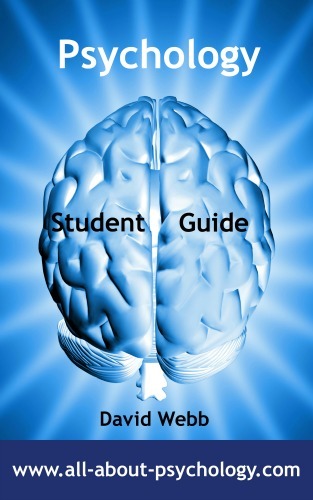 I'm delighted to announce that the latest version of the Psychology Student Survival Guide is now available for free download on the iPhone/iPod/iPad. Comprehensively updated with even more invaluable information this is a must have resource for anybody currently studying or thinking about studying psychology. Since it's launch last year over 12,000 psychology students have downloaded the Psychology Student Survival Guide App. You can join them today via the following link. Dr. Stephen Porter is an academic and consultant in the area of psychology and law. 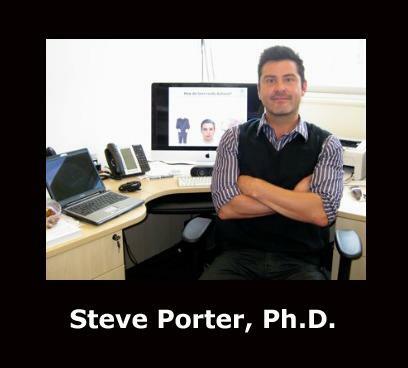 Steve is the Founding Director of the Centre for the Advancement of Psychological Science & Law (CAPSL) in Canada. He has published numerous scholarly articles on deception, psychopaths and violent behaviour, and forensic aspects of memory. You can access the interview via the following link. If you're interested in learning all about body language and non-verbal communication I'm delighted to announce that I have just launched a new website dedicated to the topic. I had originally planned just to have a body language section on my psychology website but such is the scope and range of this fascinating topic it soon became clear that it needed a dedicated website to do justice to all the things we intend to cover. I say we because I am extremely fortunate to be developing the website in collaboration with Craig-James Baxter. Craig is a master trainer in reading advanced micro expressions and is one of the most viewed body language decoders in YouTube’s history, having complied nearly 100 body language analysis videos featuring celebrities, politicians, musicians and high profile criminology cases. I really hope you enjoy exploring our new website which you can visit via the following link.